Arguably the quintessential subtitled film for people who don’t like subtitled films (it’d be a dust-up between this and ‘Cinema Paradiso’), Jean-Pierre Jeunet’s rose-tinted Parisian romance is wheeled out once more to celebrate its tenth anniversary. Likely to be the role for which actress Audrey Tautou will be remembered until her dying day, the film is all the more interesting for remaining an eccentric one-of-a-kind that feels every bit the product of its writer-director’s unique sensibility and worldview. Revisiting it now, it still has the same strengths and weaknesses: the experience of watching is still like being swept along on a tidal wave of cheeky jokes and oddball observations, yet it still feels overlong and at times a little saccharine. 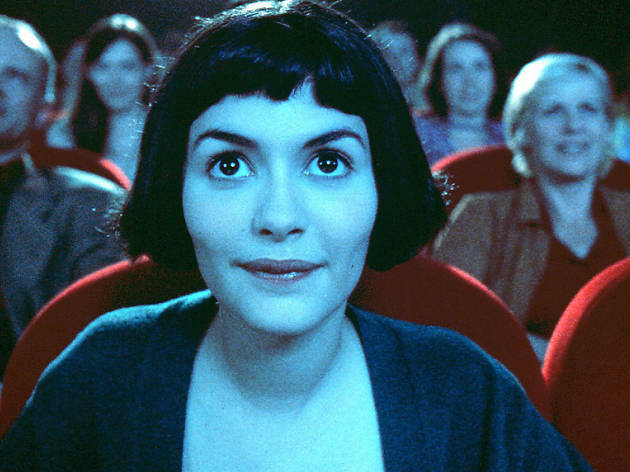 an amazing movie about Amelie who enjoys the small things in life and brings joy to others through interesting stratagems and along the way gets to know people and finds love. 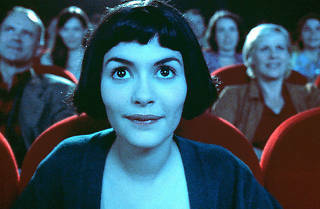 i had not become a fan of romantic films before or after watching Amelie, bur regardless of the genre, it is the most wonderfull and charming film i have seen. The tirleess dedication to detail within the sets, language and charactors can be easily overlooked when distracted bt Audrey's intensely subtle performance. (also be aware not to miss the subtitles by gazing into here eye's at every opportunity). Supported by an equally talented cast this make's for superb film which can still throw new heart warming detais at you each time you watch. To sum up- Perfect.